Is Daniel Negreanu the best player or major marketing and image ??? Daniel Negreanu excellent poker player, with several bracelets won, a lot of millions of dollars won in tournaments, is the image of a poker room and TV channels. 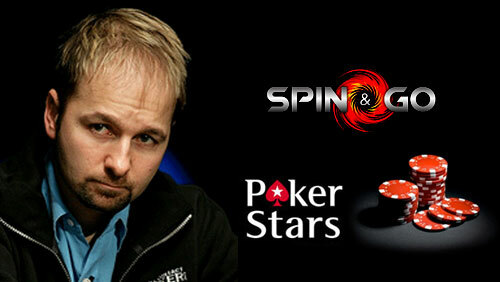 Similar Threads for: Is Daniel Negreanu the best player or major marketing and image ??? He is a very good player but nowadays it's more marketing than anything. I think he is one of the best. I love his live reads and hand analasys. I think he a very good player. This is evidenced by his history of games in tournaments and wins. Yes. Daniel is the best poker player. He is good, but isnt in the top 50 anymore. He one of the best. If you took the first place in the tournament - you are the best, in the next tournament you again have to prove that you are the best. I like Negreanu, a very good player, but he was famous for his PR. Like all television players. Of course, he won many tournaments and was in prizes, but he's all a cash game player, not a tournament player. I heard from one of his dealer friend that he was deeply in trouble with the IRS and that he is called a two-faced poisonous elf. He likes to call himself an ambassador to the game but what that means is he wants fresh fish to lose their learning curve money when they start NLH cash without knowing how dangerous it is to do that. I personally think the guy is an outgoing scumbag...really tricky guy professional marketer. re: Poker & Is Daniel Negreanu the best player or major marketing and image ??? He is one of the most complete players considering his great reading, he is very patient, and he controls the size of the pot. However, I think there are players with better strategies and with a little less luck. Definitely one of the best. But also great marketing. He is relatable and funny. Seems like a cool dude too! I think so is because if you look how much he earned for his poker career, and the most interesting is that his bankroll fiction from balchem he's not from a very rich family so he's earned himself . As answered... Just ONE of the bests. He is in fact good at marketing himself and it makes he "bigger" than other players. Both, He's a great player. Humble. Nice. Cool guy. Amazing. Handsome. Beautiful. Oh Daniel. Well, if I count myself out.. he might have a shot for being the best, lol. Is Daniel Negreanu a great poker player; absolutely. Is he the best now; probably not, because poker goes in ebbs and flows. He is still very capable of winning any tournament he enters, but it is not the same as rating the best in a particular sport. Who's the best: Messi or Cristiano Ronaldo. Any team owner would love to have either. I am also a fan of Daniel Negreanu. As a matter of fact, I first noticed him in the hit TV Show, Lost. He's very vocal about his reads but he's bound to get some right if he takes a bunch of shots right? Definitely great at marketing. Daniel Negreanu is the best poker player for me, and he's definitely big in marketing, but it does not stop him from being the best in his business and in training other players and helping people, Daniel Negreanu is just a fine fellow! Dnegs has never been the best, always up there but never in the top spot. His time has long gone, now its just a puppet and a marketing face. It's pathetic his campaign for more rake. See his life earnings and you will know is he player or marketing. He is great, but still Canadian.... Need I say more eh? I watched a lot of poker shows on TV and Daniel was the most sympathatic. He makes you want to play poker so he is a good ambassodor for the sport if not the biggest. Yes, it is a very good player. There are players with more titles and more prize money, but they are not as well known. Yes he is a great player and quite entertaining and a great ambassador for the game. At one stage he was definitely one of the very best. Now though, even he concedes that some of the German players have taken the game to a new level and even he has some work to do in order to compete against them. Its my favorite.. and I say one of best.. depends the day and the mood of players too.. how focused they re.. I like watching his try on WSOP to final table.. In my opinion, dnegs is just a washed up player, living off a pokerstars stipend. Its the player whith the moust money ernings on online poker games so i guess he is the best. You cannot even deny he is a great player his results speak for themselves. I,m not sure, that we can say that one player is best of the best in poker. I think there are lots of good players and it will be hard to choose one of them as the best.